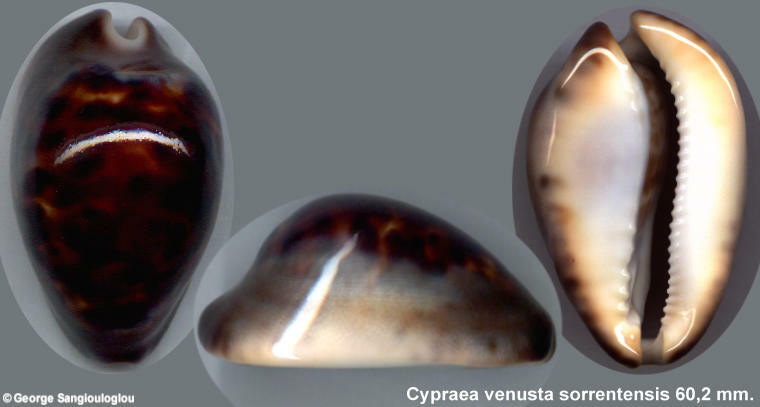 Cypraea venusta sorrentensis 60,2 mm. Is almost all over black with a white base and charcoal margin. Some slight roughness on the dorsum which causes the shell to turn so dark.